Old houses are different from new houses and need to be treated accordingly. Their method of construction, building materials and architectural features set them apart from what is built today. And it can be difficult to find the experts able to appropriately address your renovation/repair needs, retrofit systems, or design and construct a new addition that is sympathetic to your historic home. Therefore, it is important for you to understand your house, the condition it is in, and what alterations are appropriate before you contract for work to be done on it. Doing things the wrong way can be costly and result in the loss of the historic character of your house-one of its most valuable assets. This 1830 cottage complies with historic district guidelines. A foundation-to-roof evaluation of your house, covering its condition and prioritization of repair/ replacement needs. You’ll be provided with a checklist for routine maintenance that will help ensure the preservation of your house. An analysis of a specific renovation/repair project with recommendations for how to proceed in the most historically-appropriate way. The impact of the particular project on the overall condition of your house as well as its historic fabric and design will be examined. A design analysis of your historic house with recommendations for sympathetically programming alterations and additions. This botched repair of an 1835 cottage was intended to fix a previously botched repair. The Secretary of the Interior’s "Standards for Historic Rehabilitation" serves as our guideline, outlining an approach to historically-appropriate renovation/repair. The "Standards" must be observed by those applying for Historic Rehabilitation Tax Credits. Administered by the National Park Service, these tax credits are available on both the state and federal level (the first for owner occupied properties; the latter for income-producing properties). Federal tax credits offer a 20% credit on qualified rehab expenses; state credits vary, but can run as high as 25% (as they do in Virginia). Utilizing one or both can represent a significant cost savings. Old House Authority experts help you avoid shoddy results such as this. The "Standards" provide useful information but for case-specific advice on your particular property and how to appropriately preserve or rehabilitate it, it is best to work with a professional, especially during the project planning stage when general design direction and technical recommendations are critical. 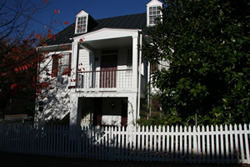 Old House Authority consultants are skilled preservation professionals who can use the "Standards" to evaluate your house, identify its character-defining materials and features, make recommendations for its maintenance and preservation, and prioritize your needs. 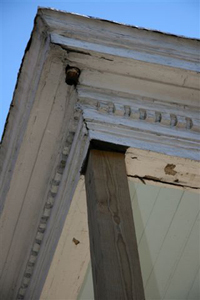 The basic guidance to the treatment of all historic buildings involves identifying, retaining, and preserving the form and detailing of those architectural materials and features that are important in defining the historic character of a building. 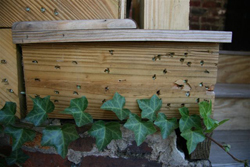 Protecting the historic quality of your house generally involves the least degree of intervention. It is preparatory to other work. When the physical condition of character-defining materials and features warrants additional work repairing is recommended. Guidance for the repair of historic materials (such as masonry, wood, and architectural metals) again begins with the least degree of intervention. Never remove or replace with new material a feature that - although damaged or deteriorated--could reasonably be repaired and, thus, preserved. 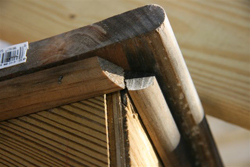 However, we offer guidance for replacing when the level of deterioration or damage of materials precludes repair. Where an important architectural feature is missing, its recovery is recommended. If documentation exists so that the feature may be accurately reproduced, and if it is desirable to re-establish the feature as part of the building’s historical appearance, then designing and constructing a new feature based on such information is appropriate. However if this is not possible, a new design compatible with the remaining character-defining features of the historic building may be recommended. Renovation/rehabilitation work should be planned to meet accessibility requirements and health and safety code requirements; or retrofitting measures to conserve energy. Particular care must be taken not to radically change, obscure, damage, or destroy character-defining materials or features in the process of rehabilitation work to meet code and energy requirements. When a historic homeowner could not find a competent carpenter, this is what resulted. Quotes available based on size of house and scope of project. Call (804) 648-1616.